4 renters saved this place. You get the entire house! 5 bedrooms, 1 kitchen, 2 bathrooms, 1 living room, full basement. Has central air conditioning, and all new windows in 2008. First floor has a kitchen with dishwasher and garbage disposal, a living room, full bath, a front porch, and two bedrooms. 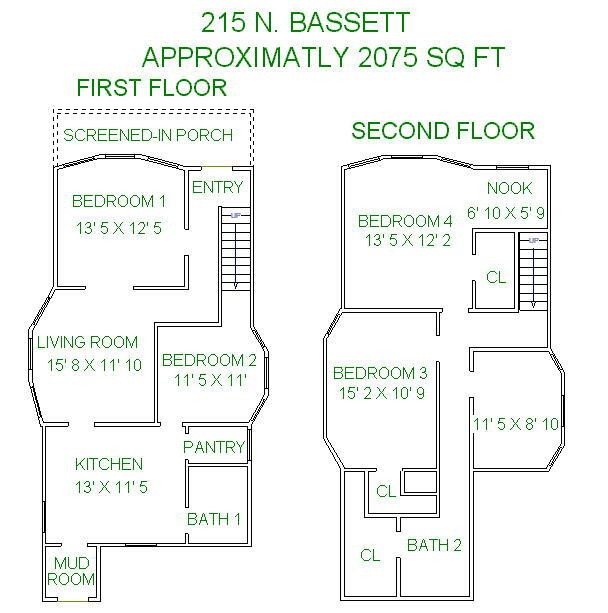 The second floor has a full bath, and 3 bedrooms…one that is absolutely HUGE, and separated into 2 areas. Short walking distance to Kohl Center (2 blocks), SERF (2 blocks), and State Street (3 blocks). The house is a total of 2,100 sq ft. Tenants are responsible for all utilities. Driveway next to house fits 3-4 cars, and is available for rent. This rental is located near the Bassett neighborhood just 0.23 miles from the center of Madison and 0.76 miles from University of Wisconsin-Madison. The property has a Walkscore of 96, so you will be in walking distance of everything you'll need on a daily basis. The property has a Transitscore of 63, so you'll have good transportation options. This rental has many shops nearby. Coffee shops in the area include Starbucks, Panera Bread, Daisy Cafe & Cupcakery. There are a number of markets in the area include Willy Street Co-op—East, Whole Foods Market, Fresh Madison Market. This area of Madison has many restaurants and bars nearby. Restaurants in the area include Mickies Dairy Bar, Great Dane Pub & Brewing Co, Hyatt Place Madison/Downtown. And there are a number of bars in the area include Cardinal, The Frequency.